Providing safe, effective & affordable pest control to Ballina, Lennox Head, Byron Bay, Alstonville, Goonellabah, Lismore and surrounding areas. Providing safe, effective & affordable pest control. Insight Pest Management is a locally owned and operated pest control company servicing the entire Northern Rivers. 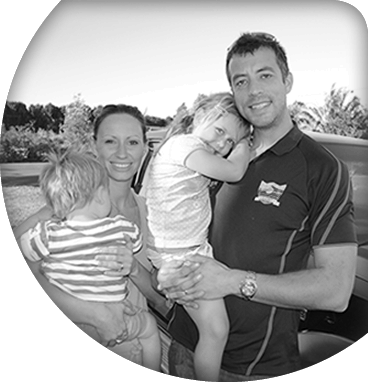 Owner and operator, Ben Thirkell, has been working in the pest control industry for many years and is a highly respected and an award winning technician. He prides himself on offering a prompt, reliable and superior service to residents of the Northern Rivers and specialises in both domestic and commercial pest control services. No generic brands are used and you are guaranteed your pest control service and termite treatments are carried out using premium products you can depend on. “As a father of young children, I know the importance of using safe and effective products”, says Ben, “I wouldn’t use any pest control product I wouldn’t use on my own home. I also know that your time is precious and can assure you there is no need to move furniture, clean out cupboards or cover things up – I will take the upmost care of your home”. Ben also keeps on top of the latest pest control news and strives to further his knowledge of the Insight into pests and the best ways to treat them through the latest accredited courses. Why choose Insight Pest Management to protect your home, family and assets? Servicing the entire Northern Rivers area from Tweed to Yamba to Casino and everywhere in between. There is a strong link to show children that have been exposed to cockroach allergens from an early age, have a high chance of developing asthma and dermatitis. For those with asthma, control of cockroaches is extremely important as they are known triggers of asthma attacks. Cockroach disease can affect humans. They carry diseases such as dysentery, gastroenteritis, salmonella, typhoid and poliomyelitis. Rats carry numerous diseases and cause a large number of house fires by gnawing on electrical wires. They are known to tear up insulation in walls and ceilings for nesting and can undermine building foundations and slabs with their burrowing activities. The Northern Rivers is home to some of the world’s most venomous spiders – these include redbacks, mouse spiders, the northern rivers funnel web spider, wolf spiders, the black house spider and the white tailed spider. These spiders can cause extreme pain and even death, however, since the introduction of anti-venom, deaths are thankfully extremely rare. Our homes and gardens are ideal for spiders, providing them with food, water and shelter. Their messy webs collect dust and debris and can be very annoying to get tangled in! Ants are social insects and live in colonies. For most people ants only become a problem when they enter buildings in search of food and water or when they build their nests in buildings or gardens, however, various species of ants on the Northern Rivers can inflict painful bites and stings, such as the Bulldog Ant, the Green-Head Ant and the Jack Jumper Ant. Ants generally do not cause structural damage to buildings. A few species will occasionally attack electrical wiring for unknown reasons, and in these situations extensive damage can occur. Pests are not always noticeable in your home, that’s why it’s important to maintain regular control. Protect your family and your assets by calling us now!